Will Hall is a sports anchor and reporter at KTVB in Boise, Idaho. Will couldn't be more excited to be living in the Treasure Valley and working for KTVB. He joined KTVB in October 2014 after spending two and a half years working as a sports reporter and anchor with the WOI, the ABC station in Des Moines, Iowa, his hometown. He has always known that he wanted to be a sports anchor and reporter from a young age, and he is thrilled to be working in a beautiful city that is passionate about sports. Will hopes his passion about sports and joyful personality reflects in his sportscasts across the Treasure Valley. He covers Boise State’s athletic programs as well as quite a bit beyond the Broncos, including the College of Idaho, Northwest Nazarene and high school sports including football, soccer, volleyball, basketball, wrestling, track, lacrosse, baseball and softball. He also reports on the Steelheads, Boise Hawks and plenty of other sports-related topics in the Treasure Valley. He has been nominated for an Emmy for his storytelling. At WOI, Will interned from his senior year of high school and throughout his time in college while attending Iowa State University (go Cyclones!). 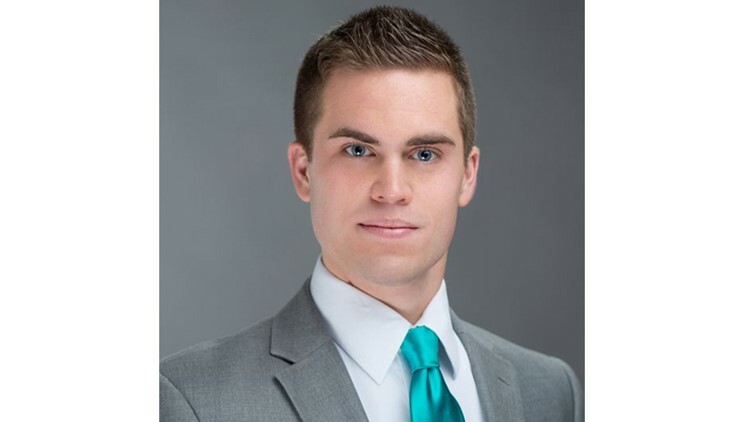 While working at WOI, Will earned the 2014 Iowa Broadcast News Association award for his sports reporting. Will spends his free time exploring all that Boise has to offer outdoors. He is an avid runner, die-hard Iowa State Cyclone fan, loves spending time with his family, and enjoys trying as many Boise breakfast spots as he possibly can. Will has a passion for storytelling, and loves sharing stories that touch viewers on a personal level. If you have a story idea, advice, or even a simple breakfast suggestion, please don't hesitate to email him at whall@ktvb.com. You can also follow him on Twitter or Facebook.